There was a time, before airline consolidation, that United Airlines used to run weekly last minute specials, where all it would take to purchase a flight was to exchange 30,000 miles and a $30 transaction fee. Usually the flights from Newark were to regional destinations like Washington, DC, Pittsburgh, Buffalo, with an occasional Canada destination like Halifax. A few times United went completely wild and offered flights to places like Bogota and Panama City. The Panama City flight popped up once, I delayed booking, and have been regretting my inaction ever since. A favorable No Reservations episode only increased my desire to visit the city. I spent at least a year of my life refreshing United's weekly special website every Monday night preparing to pounce should the Panama City flight reappear. The opportunity never arrived. Fortunately Pete, the master of finding extended layovers, found a ten hour layover in Panama City on our way to Havana, Cuba. 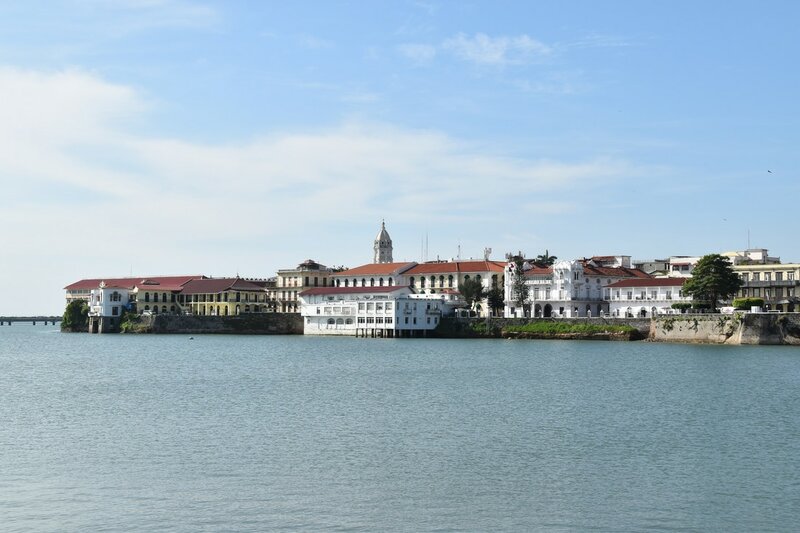 Even though Panama City is waaaay out of the flightpath to Cuba, we jumped at the opportunity to see this rapidly developing and dynamic city. To make the layover easy we did a little research and found a driver who could pick us up at the airport, take us to the sites, then bring us back to the airport. 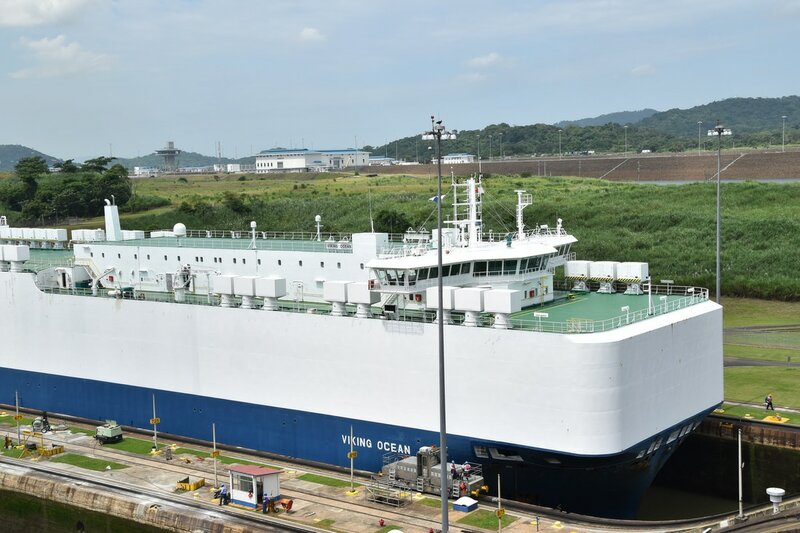 Life in Panama City revolves around the Panama Canal. The US turned the canal over to Panama on December 31, 1999, with one stipulation, in the event of a war, the US could reclaim the Canal. It was a smooth transition and the country has continued to embrace the tenets of free trade and capitalism. 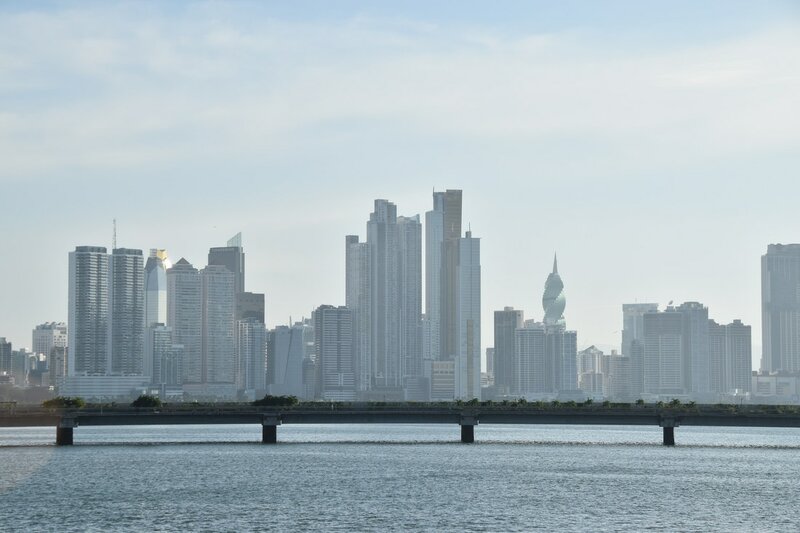 Four million Panamanians, two million of which live in Panama City have enjoyed an economic spurt over the past fifteen years unrivaled elsewhere in Central and South America - and pretty much anywhere else, except for Dubai. In someways it is the Dubai of the West. There's brand new construction of offices and apartment buildings. Massive public infrastructure in the form of a new international airport and monorail / tram are on the way. 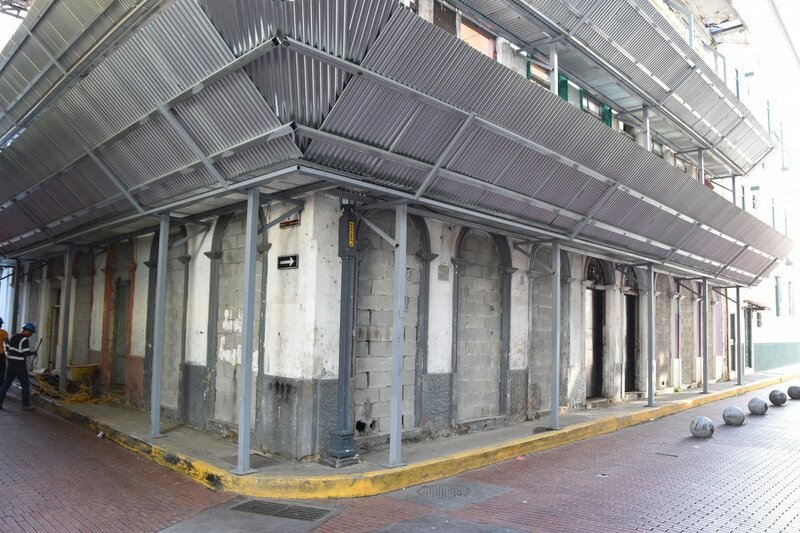 There are still some third world elements, like the dirt and broken sidewalks in commercial areas, however everything seems to be rapidly changing. Every place we saw I kept saying the same thing - we'll need to come back in five years and see what's changed. We arranged our transportation with Luciano Granie. Several commenters had listed him as reliable and a great tour guide, he lived up to their reviews. Here's a link to his personal website. 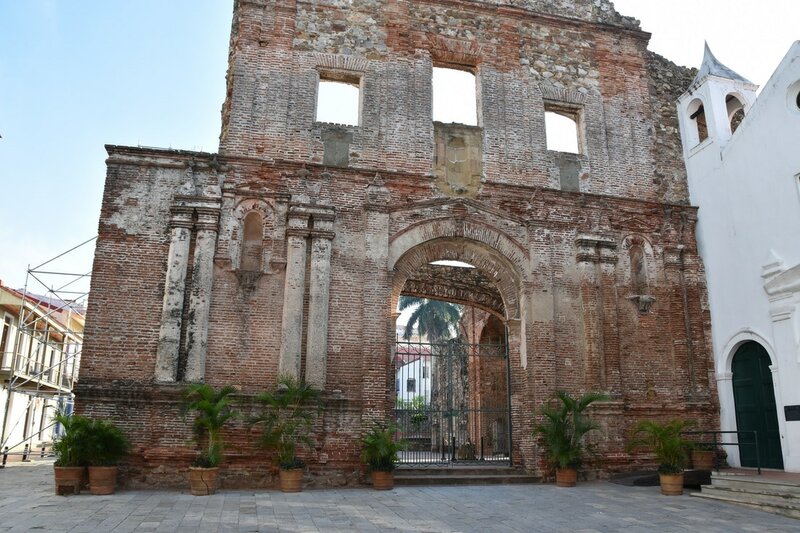 Our first stop was Casco Viejo, Panama City's old town area where everything old is new again. 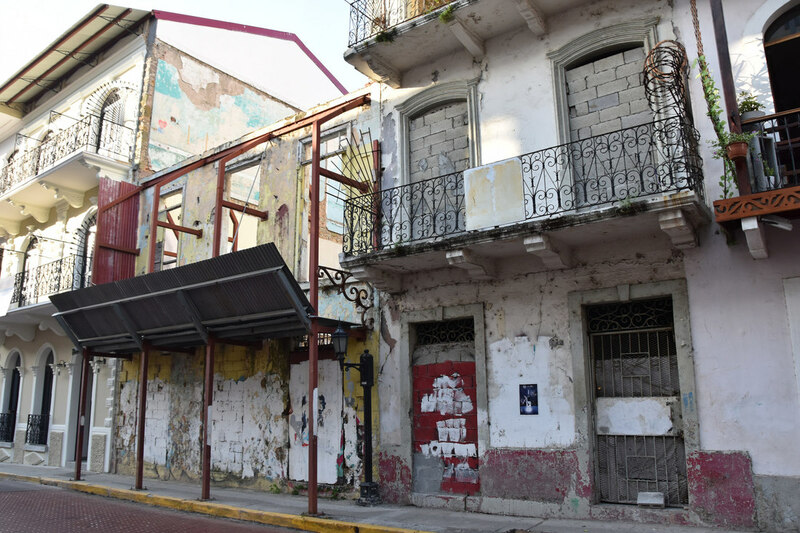 Buildings either have or are being converted into hip restaurants, fashionable clothing stores, or boutique hotels catering to both business traveler's and Panama City's Nouveau Riche. While planning the trip I became disappointed when I started finding all these great restaurants, then learned they didn't start service until we'd be back at the airport. We parked the van and Luciano led us on a walking tour around the city. 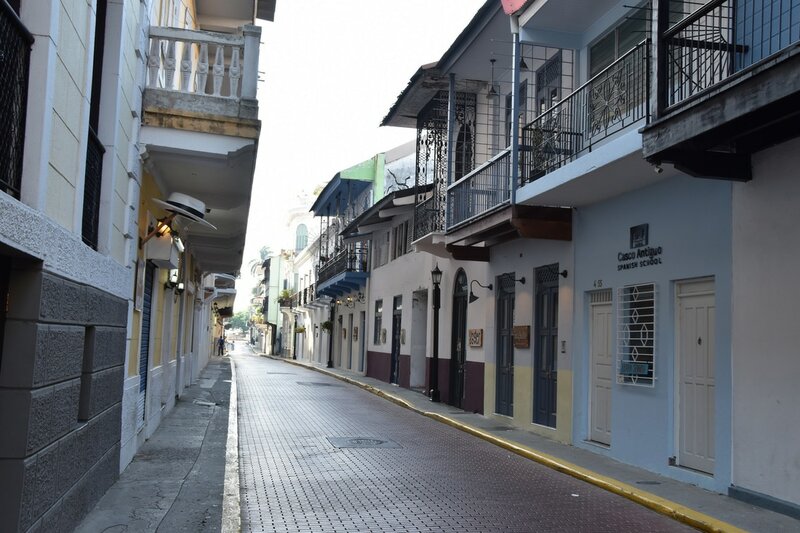 At seven in the morning Casco Viejo is still quiet except for the sounds of construction. There's a few old churches in the area but otherwise we stuck to focusing all the historical buildings and their rapid modernization. 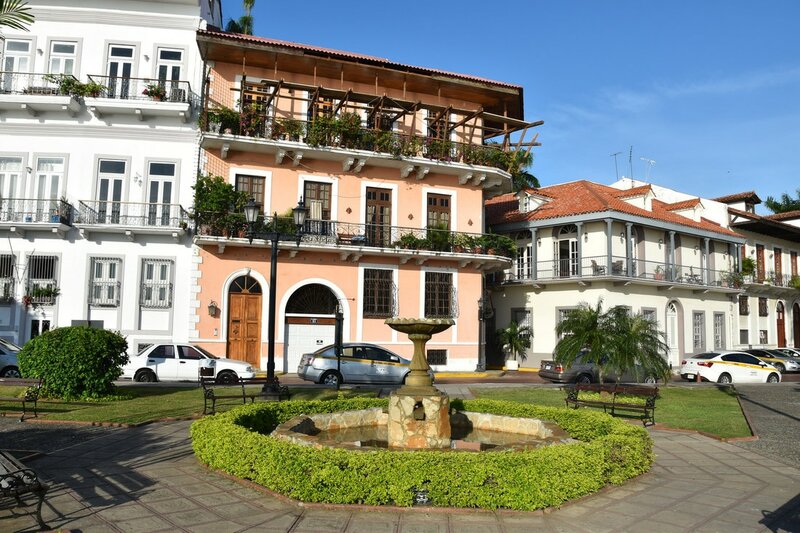 We did a loop that took us down along the waterfront then headed back to Plaza Tomas Herrera for a cup of coffee at Unido Coffee, Panama's premier coffee shop. 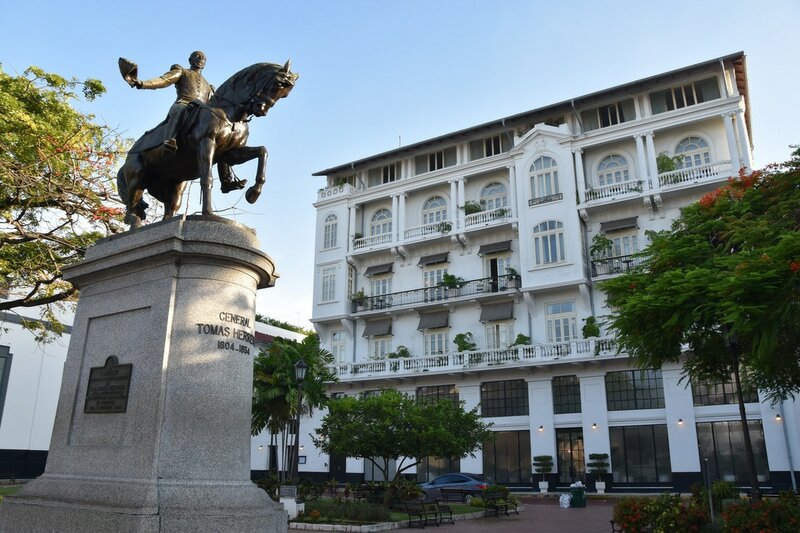 Unido's Casco Viejo location is in the American Trade Hotel which is worth a walk through in and of itself because of its colonial era vibe and black and white tiled floor. 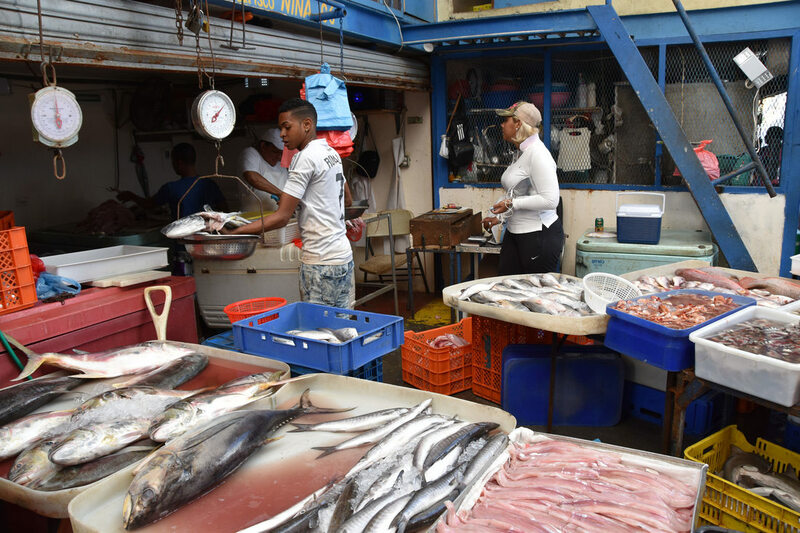 Our next stop was the Mercado de Mariscos. Bourdain raved about the ceviche at the fish market so naturally that was our second course of breakfast after pastries at Unido. The market was somewhat active - about half the stalls were closed but at least we didn't have to deal with a fish smell or get in any of the workers' way. 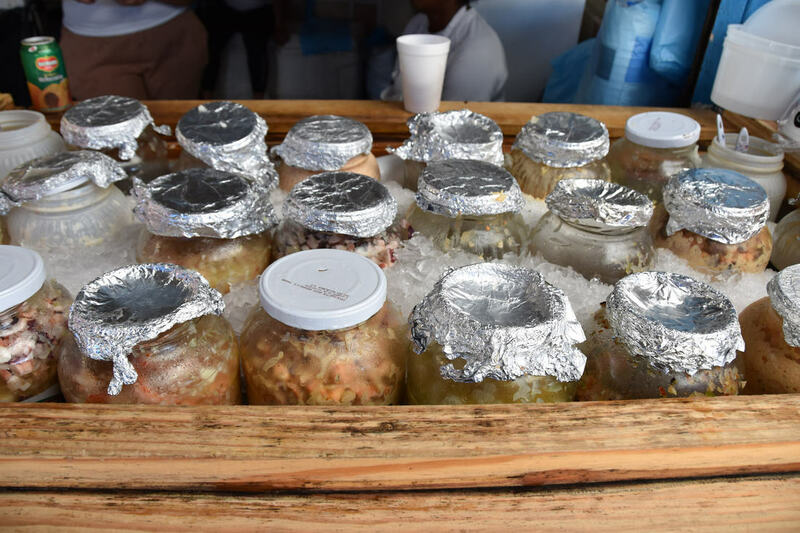 The ceviche stalls are on the road side of the market. 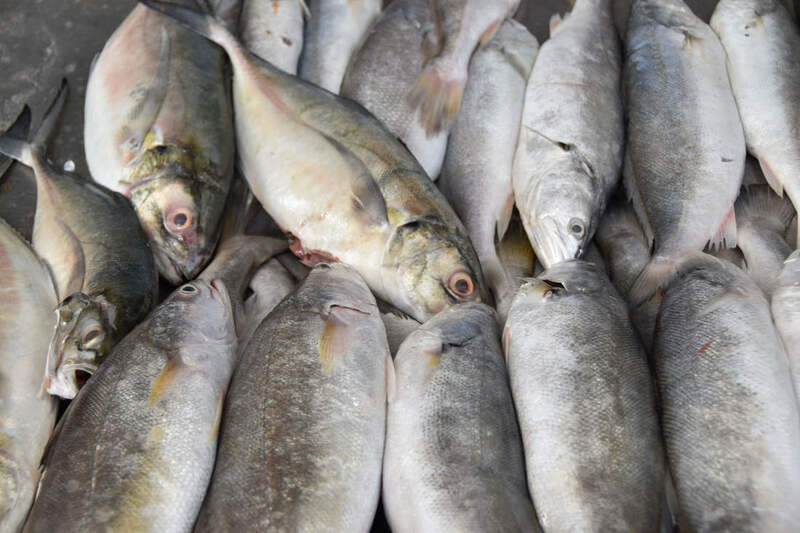 We ordered a couple of types - shrimp, octopus, and corvina (aka sea bass), a common fish in the waters off Panama City. It was now 9 o'clock and time to head to the Panama Canal. I was a bit skeptical. How great could a canal be? Do I really want to stand with a bunch of tourists and watch boats pass through locks? Who goes to Panama City and doesn't visit the Panama Canal? I really wanted to be that guy. Pete wanted to see the Canal so off we went. Let me say up front, the Canal is a bit disappointing, a bit underwhelming. 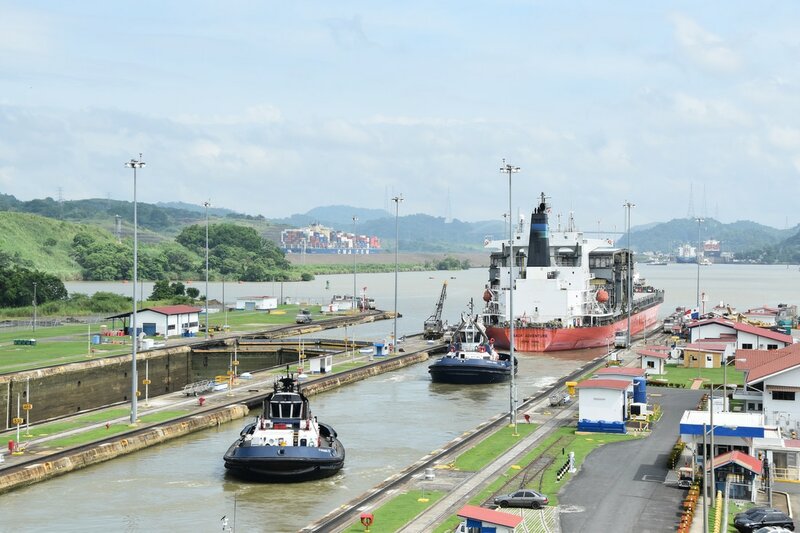 That's because the marvel of the Canal isn't the Miraflores locks, which are just locks, the marvel is the upstream land excavation that was performed. 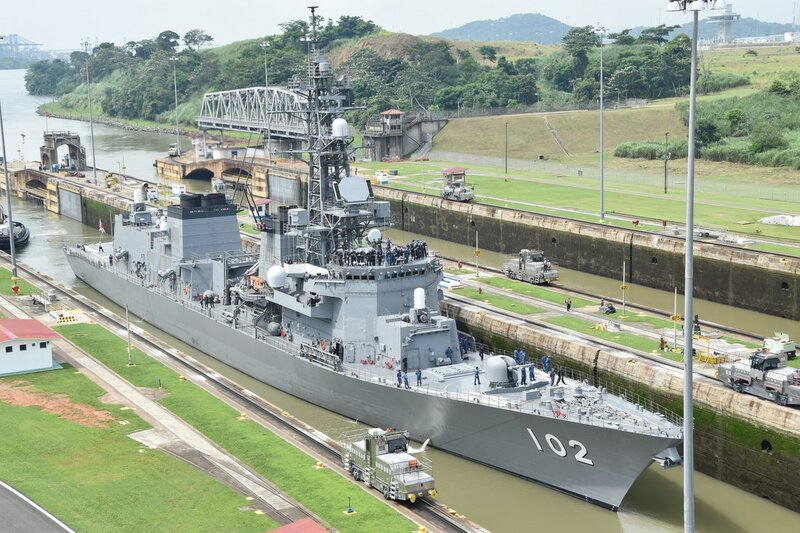 The grunt work, the cutting through the impenetrable jungle, the digging in a malaria zoning and dealing with humidity, that's all further inland from the Miraflores locks. In that sense I was right about the Panama Canal, however, I would have been a fool to be the guy that goes to Panama City and doesn't see the Canal. Attached to the locks is a Musuem that explains the history or the Canal and its impact on Panama. The fourth floor of the Museum has a lookout where you can watch boats pass through the Canal. It's a slow process, there's lots of tourists, it was still kind of cool. I thought we were lucky two with the boats that passed through - there were two Japanese destroyers and a massive, easily the largest ship I've ever seen, car transporter boat that passed through the locks. When the Japanese destroyers passed through the crew all came onboard and waved to everyone. I asked Luciano why everyone shows up to the locks at the same time instead of spreading out the visits. The reason is because the locks only handle one way traffic. Once boats pass through they need to go through another narrow one way channel until they reach a lake area where there is more room to maneuver. Thus the flow is that boats head east through the locks in the morning. There's a six hour lull. Boats head west through the locks. Six hour lull repeat. Between 10 and 4 there's no activity at the locks. By now it was time for lunch and time to see Panama City's modern business district. On the way to lunch we drove through the former barracks of American personnel who worked at the Canal. 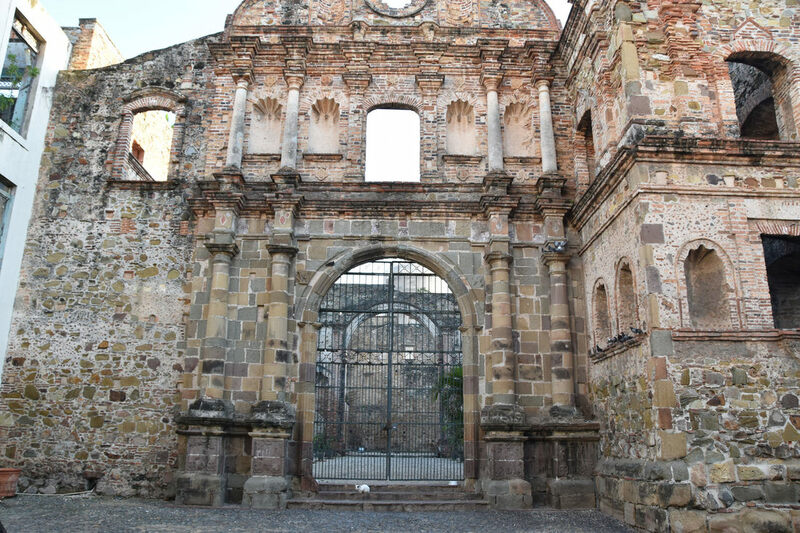 It was a massive complex and during the time the Canal was born the area was part of America. Hence how someone like John McCain could be born in the Canal Zone and still be an American. The setup, of an America inside of Panama is a bit strange and it was dichotomy that lead to the US eventually turning control of the Canal back to Panama. We ate lunch at a local place, called El Trapiche, and I ordered a combo platter of all things Panamanian. 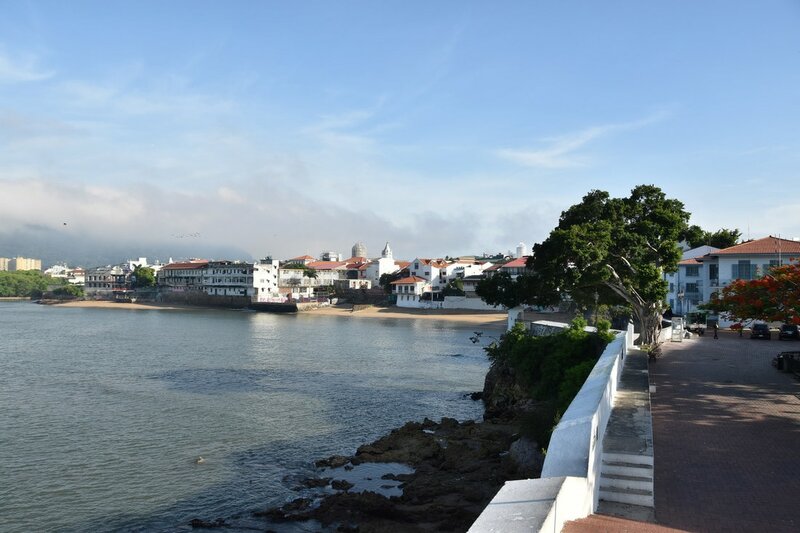 Panama is at the crossroads of North and South America and the Atlantic and Pacific Ocean so the meal was a hodge lodge of all things Latin American from yuca fries to fried fish then washed down with a Coke. The business district reminded me a bit of India - a busy roadway with an unnecessary greenway, followed by cracked sidewalks and half attempts to cater to handicaps, with dark stores set underneath an apartment overhang. After eating we walked up the street to La Rana Dorado, a micropub with several Panama City locations. 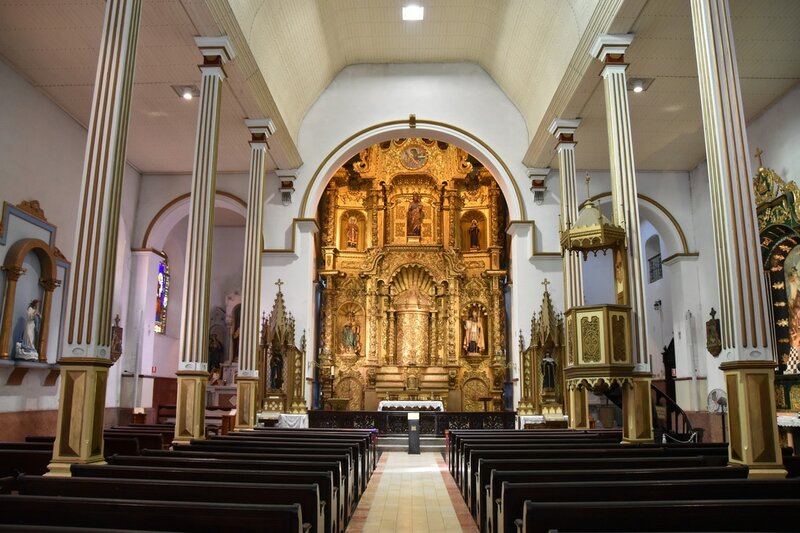 The place was a bit of a microcosm for Panama City - there's a burgeoning middle class that's in an experimental phase, testing new commercial experiences, but still finding their way. That's a round about way of saying the beer was ok.
​We took a different route back to the airport along the waterfront. We checked in and made our way to the Business Class Lounge to hobnob with the Panama City movers and shakers. A great, quick trip and now I'll just need to keep my eyes open for a discount flight back to Panama City.